Burke Devlin x 2. Mitchell Ryan (1966-67); Anthony George (1967).. HD Wallpaper and background images in the Dark Shadows club tagged: burke devlin mitch ryan anthony george dark shadows gothic suypernatural. 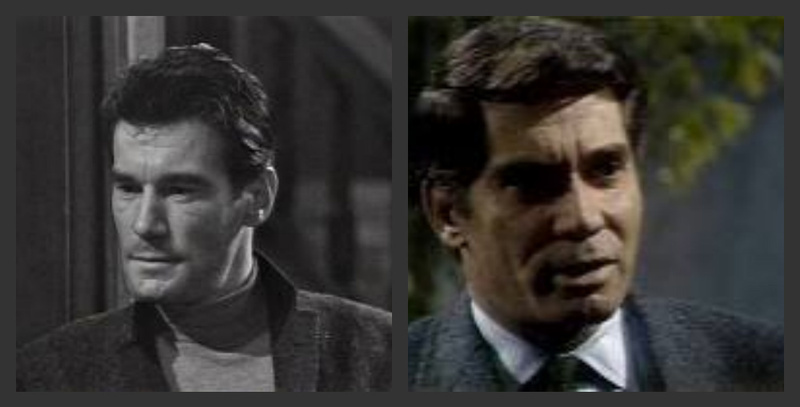 Mitchell Ryan (1966-67); Anthony George (1967). This Dark Shadows fan art contains costume d'affaires and costume d’affaires. There might also be assesseur, juge-avocat, costume, costume de vêtements, portrait, headshot, gros plan, and closeup.